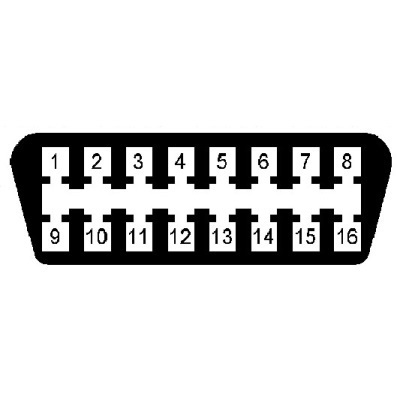 Pinout of the diagnostic connector Mercedes. Home » SD Connect configuration » Pinout of the diagnostic connector Mercedes. 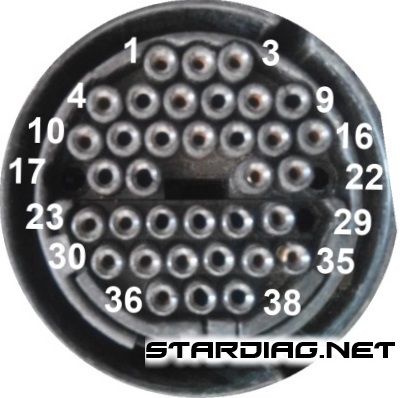 Mercedes diagnostic connector. 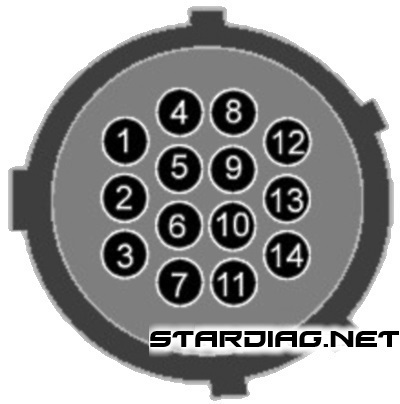 The Pinout of the diagnostic connectors. (+) power pin 15 or circuit 87.
contact K-line scanning, the control UNIT (ECU) anti-lock braking system ABS, ASR traction control system, ESP stabilization system trajectory, ETS system, traction control. contact K-line scanning, the control UNIT (ECU) ISC idle speed control UNIT (ECU) EFP EA throttle actuator accelerator electronic control UNIT (ECU) CC, thermostat, cruise control the cruise control. contact K-line scanning, the control UNIT (ECU) ASD automatic locking differential. contact K-line scanning, the control UNIT (ECU) (PSE) pneumatic suspension, W210 — multi-function control UNIT(ECU) DBE sunroof control, etc. contact — reset service intervals. contact K-line AAM — All activity module — integrated control module RD radio, ICS — driver information system, ICS — communication system and dt.